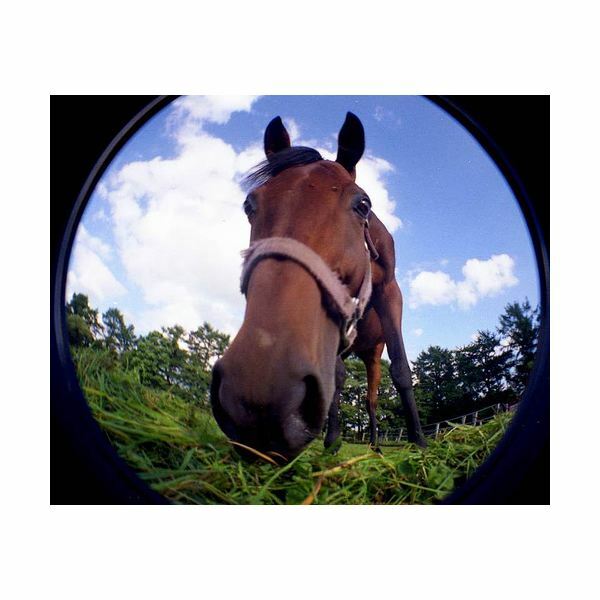 A fisheye lens can create a lot of drama--and sometimes comedy--in photo composition. 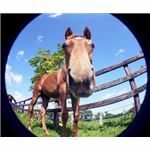 Use these photography tips to maximize the fun of creating purposely distorted images with a fisheye lens. 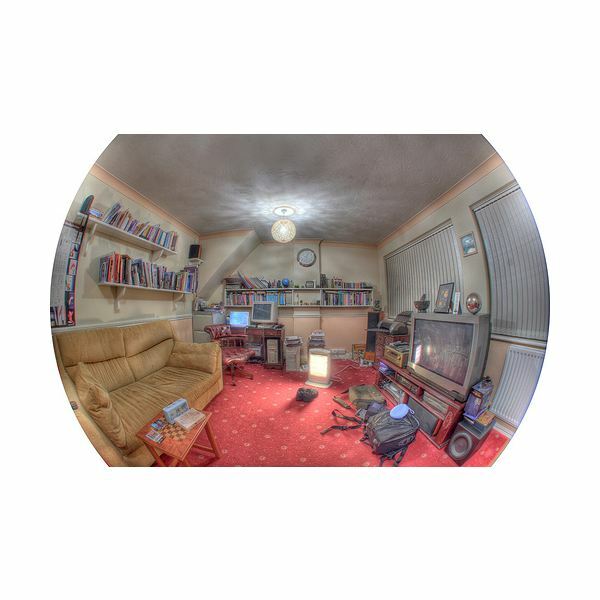 A fisheye lens creates images with extreme barrel distortion, meaning subjects in the center look somewhat magnified, while the edges of the image quickly taper off and feature curved lines that do not reflect reality. The overall effect is a purposely warped view that provides plenty of opportunity for creative pictures. One of the best attributes of a fisheye lens is its ability to capture wide angle pictures; think of it as a wide-angle lens on steroids. 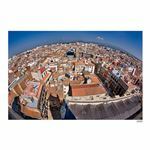 That wide field of view means you can fit huge landscapes, or a cramped living room, into a single image. 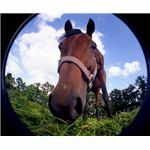 It's important to determine the most important elements in your composition before you shoot with a fisheye lens. The subject you focus on will be sharp and clear but peripheral elements away from the center of the picture will quickly begin to look distorted. In other words, background elements are generally secondary when using this lens, so your foreground subjects must be able to carry the composition and provide power to the image. 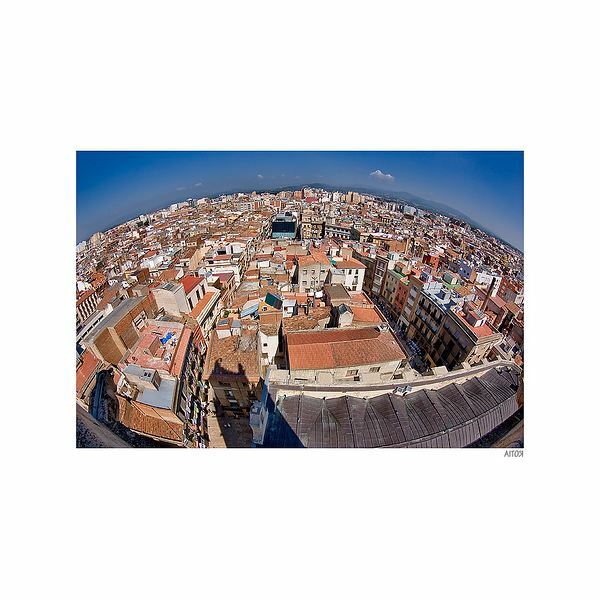 Because a fisheye lens provides such noticeable distortion to your images, it's best for situations where your other wide-angle lenses just aren't enough. 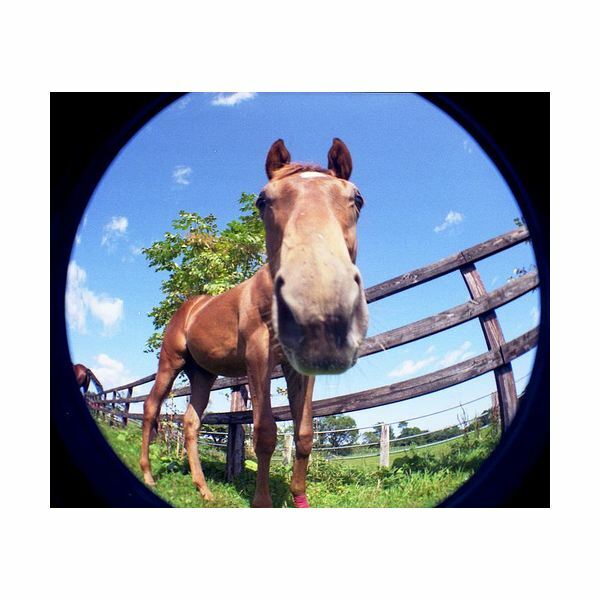 You can create striking portraits with a fisheye lens. Place your subject near the center of the composition and you'll see the way lines in the background bend towards the center of the image. This effect tends to guide a viewer's eyes towards the middle of the frame and draws attention to the person you're shooting. Pet pictures are especially fun with fisheye lens. If you've ever tried capturing pets in action, you've undoubtedly noticed the way animals almost naturally gravitate towards the lens, ruining the shot with a few good licks on your camera lens. The super wide angle of a fish eye lens lets you shoot very close to your furry friends, and the silly distortion helps accentuate their fun personalities, too. Because fisheye lenses often have a field of view that's around 180 degrees, you can fit an amazing number of subjects into a single frame. In tight quarters, such as a small room, this large field of view is helpful in capturing groups of people or action shots where fast-moving subjects are hard to capture with a regular lens. Photo on left by daita. Photo on right by Bill Hails. 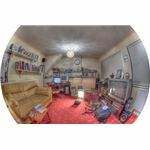 A fisheye lens is a lot of fun to use, but if you overuse it, the effect may grow tiresome with your viewers. Like all tools of a photographer's trade, this one takes a lot of practice in order to provide powerful and consistent results. In casual shooting situations, though, it's tough to beat a fisheye lens for overall fun. You can warp your visual world in ways that other lenses can't and use your imagination to create an entire portfolio of visually captivating pictures.